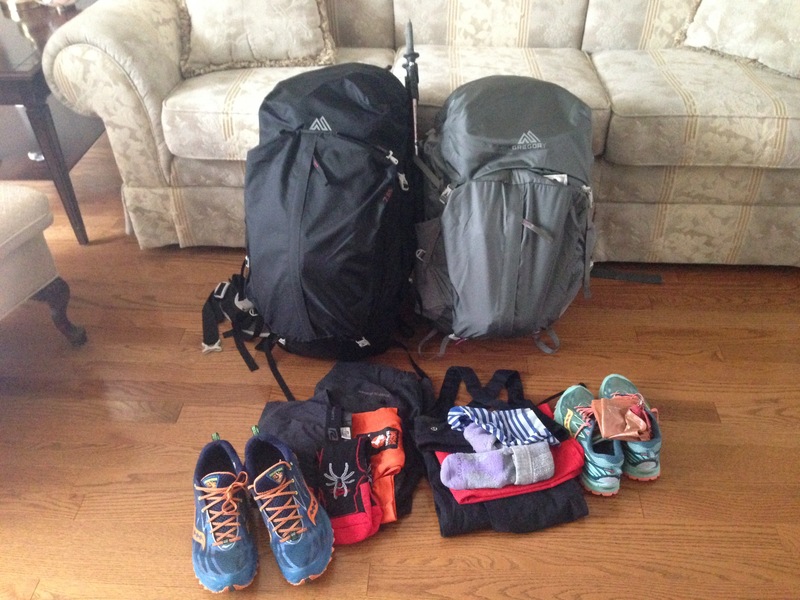 Here’s our obligatory pack blog, distribution between the two of us makes the individual pack contents look a bit wonky, I don’t use two sleeping pads and I would really like a sleeping bag. 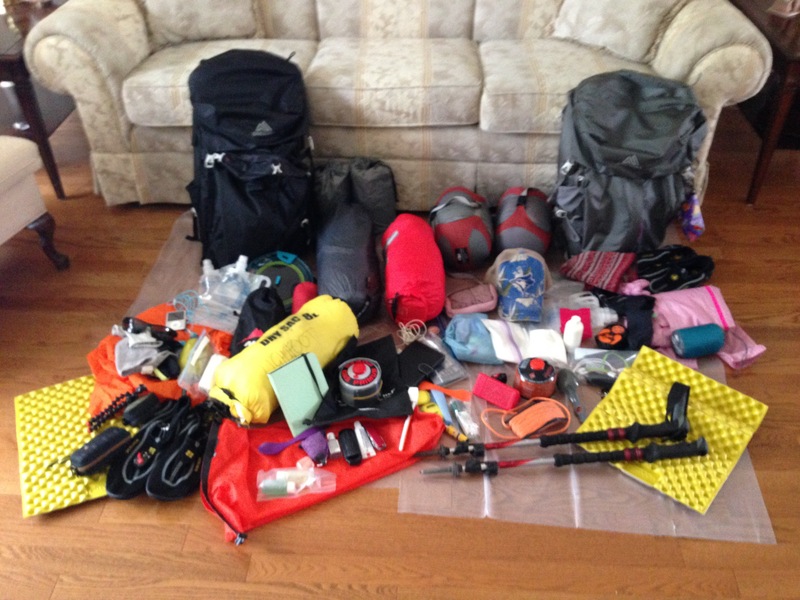 So that disclaimer aside our base pack weight is ~21lbs each, there are certainly a few luxury items such as the cards and Ereader, and our seat pads, along with items like our camp shoes that I am not sure if I will really use but we will see as we go if there are items that end up being surplus to requirement. 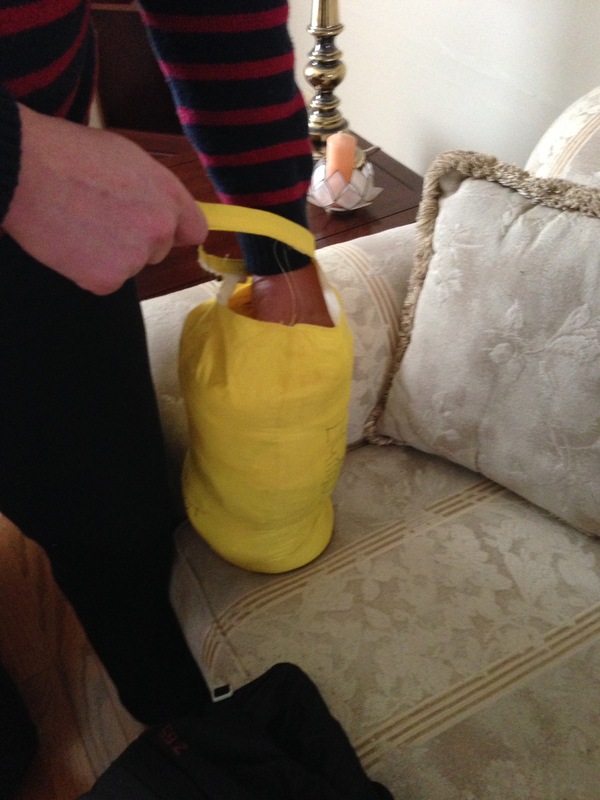 3mm heavy duty plastic construction sack as a liner. All that remains is to add too much food and we are ready to rock. Impressive inventory of supplies and equipment!